https://www.jmeshel.com//wp-content/uploads/2011/10/Pablo-Casals-Cello-Suite-2-Prelude.mp3Tonight’s the night when we Jews face up to the way we lead our lives. It’s the night when God sits in judgment and hands down the final verdict of what is going to be in the coming year, for each and every one of us. It’s our version of “He sees you when you’re sleeping, he knows when you’re awake, he knows when you’ve been bad or good, so be good for goodness sake”, but it’s no roly-poly bearer of shiny gifts chuckling yo-ho-ho. It’s a very stern, serious God up there, and there’s no levity surrounding the day. It’s a matter of life and death. Every person, if and when he can bring himself to look Life in the eye, takes the matter seriously. We all want to live, to live well, we and our loved ones. So we try to repent deeply in our hearts for what we’ve done wrong, and resolve to do better next year, and pray sincerely for God to judge us with mercy. Because to tell the truth, we’ve made a lot of mistakes. And if God judges us harshly, we really don’t stand much chance. So we can only pray for His mercy. The mechanics of the day include fasting, standing on our feet for endless hours, and thinking seriously. The cantor or the leader of the prayers uses the liturgy and his musical style to break our hearts and try to pry open God’s. Some fancier synagogues have a choir, but not the simple, down-to-earth places where I hang out. The cantor’s just a guy like me, assuming the profound gall to stand before God and plead for mercy. 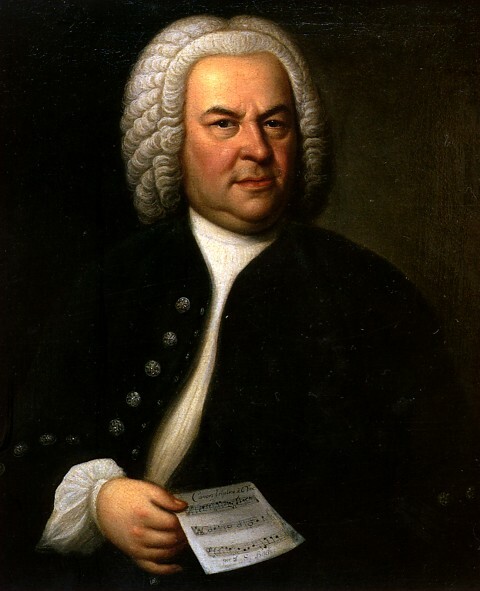 But if there were going to be a musical soundtrack for Yom Kippur, there’s only one work conceivable – Johann Sebastian Bach’s Six Suites for Solo Violincello, BWV 1007-1012. I don’t consider myself to be a really well-educated or cultured person. But from my limited experience in music and arts, there is no other man-made work of the gravity, profundity, elevation of Bach’s Suites for Cello. There is no other music that I could imagine playing in the background as I stand before God – powerless, beseeching mercy for myself, for my wife, my children and their families, for all the people of Israel, for all the world and everyone and everything that inhabits it. These suites were composed between 1717–1723, when Bach (1865-1750) served as a Kapellmeister in Cöthen. It was a pretty cushy job; but in 1720, while the 55-year old J.S. was abroad with his boss Prince Leopold, Bach’s wife died suddenly, leaving him with seven children on his hands. The following year, Bach married Anna Magdalena, a talented 19-year old soprano who had come to perform at the court. Together they had 13 more children, six of whom survived into adulthood. So I think it’s safe to say that Bach knew something of the sorrows and joys and difficulties and twists of fate life can hold for a person. During these six years in Cöthen, between burying his wife, finding and marrying a new one, raising seven children and running a court orchestra and choir, he also found time to compose the Orchestral Suites, the Brandenburg Concertos, the Sonatas and Partitas for solo violin, the Suites for solo cello, and the first book of the Well-Tempered Clavier. Suites are groups of dances. Each one includes an allemande, a courante, a slow sarabande, and a fast gigue. Here Bach opened each suite with an introductory prelude. And between the sarabande and the gigue, he inserted a pair of additional dances, either minuets, bourrees or gavottes. But that’s a convention that’s hard to grasp today. I’ve never seen anyone dancing to these suites. I have seen people bow their heads and close their eyes. These Suites are not easy music. They’re naked and stark, with a single monophonic instrument (one note at a time, as opposed to chords) implying a universe of harmonies and textures. Even the jolliest ones among them make me look for the nearest cliff to jump off. For our Song of The Week, we’re going to offer up the prelude to Suite #2. Tonight, when I recite ‘From the depths have I called to You’, this music will be in the back of my mind. Bach was not a popular composer after his death and through the 19th century. His works were rarely performed, and his reputation maintained by only a few champions, albeit illustrious ones (including Mozart, Beethoven, Chopin, Beethoven, Schumann, and Mendelssohn). Up into the 20th century, the few people aware of the Suites for Unaccompanied Violincello thought them to be etudes, technical exercises. 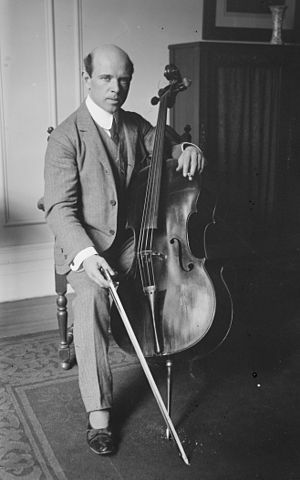 Pablo Casals (1876-1973), the father of the modern cello, was raised in a village in Catalonia by a church musician father. At the age of 13, he discovered a copy of the Suites in a thrift shop in Barcelona. He studied and performed them for many years before he agreed to record themin 1925. That recording was instrumental in reawakening public awareness of Bach. I confess I don’t listen to the Bach’s Cello Suites every day. I’m only human, and I’m not capable of staring into the abyss that frequently. But Yom Kippur will be here in a few hours, so I’m trying to prepare myself to perform a sincere reckoning in my soul. This is the music that gives me the courage to try to stand before God and ask for mercy.